In our last blog we discussed the importance of first impressions made by New Leaders, and how others’ perceptions of them and can influence their success in the organization. This month we continue the conversation and provide suggestions to contain and repair mistaken or negative impressions. What do others expect the New Leader to be doing, right from the start? What should the New Leader accomplish now and in the future? – Their own interaction with the New Leader? – The performance of the New Leader’s team? – How the New Leader approached a challenging situation? What is the real way “things get done,” in the context of the organizational culture? Another way to understand the impressions being formed is to conduct a multi-rater survey, which can create the starting point for deeper conversations about actions, intentions, and resulting perceptions. LevelSet: Early Feedback is a recommended tool designed to capture a New Leader’s early impact on others. Multi-rater surveys not only provide important data, but they also serve as a safe, anonymous platform for key others to openly share their views of the New Leader. Conversations initiated from results of these surveys can help clear up misconceptions and get others’ impressions back on the right track. We often find that by the time an organization provides this critical feedback, it is too late for the New Leader to course-correct. Creating a knowledge base about the Leader’s early impact will increase their chances for overall success. Addressing missteps, misperceptions and misunderstandings head-on is necessary to positively shape a New Leader’s reputation and promote their effectiveness, performance and longevity. To do this, the New Leader must become transparent and remain open to feedback. Acknowledge the presence of a problem or challenge. Share the plan to address it (work with an HR Partner if necessary). Invite ongoing, spontaneous feedback about progress and other related challenges. While the New Leader’s role may require influencing the organization’s direction, they will falter without foundational relationship work. A New Leader can demonstrate positive intent by building effective relationships across the organization. Even if early experiences did not go as hoped, the act of getting to know colleagues provides a foundation for communicating a desire to honor the culture and its inhabitants. This can bridge the gap between the missteps that observers have encountered and the true intentions of the Leader (who was rightly selected for the role). Relationships also help New Leaders engage in rapid learning about practices and history, and they can develop a deeper understanding of their operation and different stakeholder groups. It’s important to note here that those working with (and for) the New Leader are also concerned about how they are viewed during this time of transition. 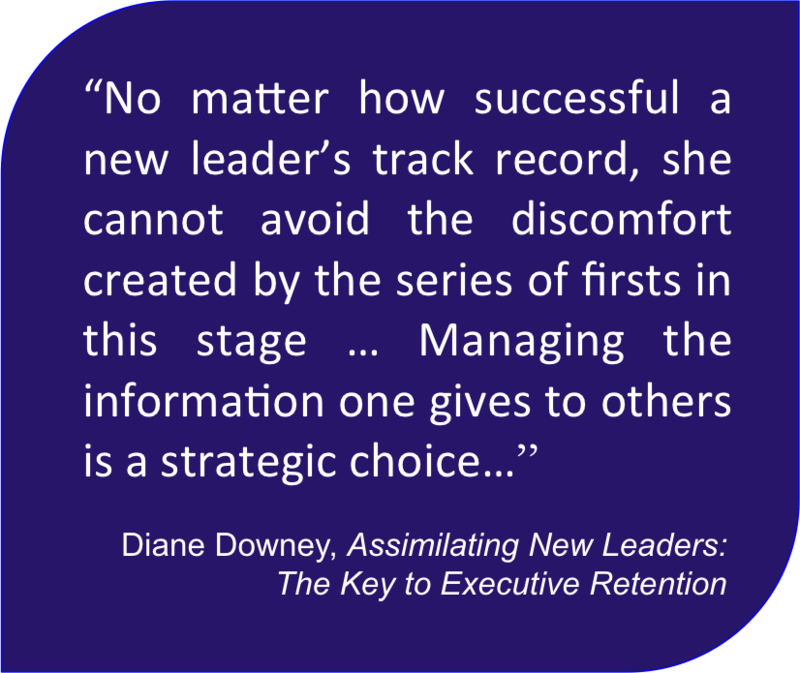 As Diane Downey states in her book, Assimilating New Leaders: The Key to Executive Retention, “The new leader needs to understand that she is not the only one managing impressions. Others are just as conscious of managing the new leader’s impressions of them as the new leader is managing their impressions of her.” With this in mind, New Leaders should anticipate that they might also need to pardon any initial negative experiences they have had. Relationships are a two-way street. When new to an organization, Leaders (and employees, in general) often discover that their various colleagues and stakeholder groups hold different expectations for them and their role. These perspectives and goals can come into direct conflict, which creates an uncomfortable paradox for the New Leader. In this scenario, they must learn to work through the appropriate channels, while honoring organizational politics and cultural norms. If New Leaders approach these situations correctly, they can begin to align the various expectations. This role definition/clarity ultimately helps New Leaders manage their reputations across groups. The actions listed above should not be viewed as one-time events. The New Leader must consistently work to understand the perceptions and align expectations of others. Seeking feedback demonstrates their willingness to value and understand their new colleagues and operation. Consistency, communication and intentional actions create trust and validate the Leader’s commitment. Indeed, first impressions are powerful, and if managed correctly they can be used to gain leverage in a New Leader’s role. A broader power base increases the New Leader’s ability to contribute to the long-term success of the organization. 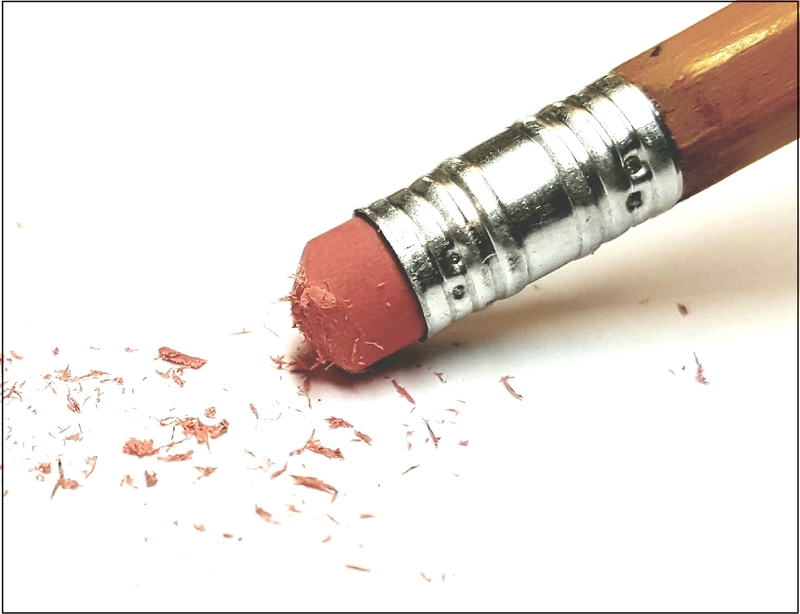 Utilizing tools, communicating, building relationships, and aligning expectations will aid New Leaders in recovering from a blundered beginning. Posted in Advice for New Leaders, Culture and OnBoarding, Driving New Leader Alignment, Leader OnBoarding and Getting It, Why New Leaders Fail.